The C.P.A. is a collaborative project of Idaho Smart Growth and the U of I College of Law in Boise and the U of I Bioregional Planning Program. 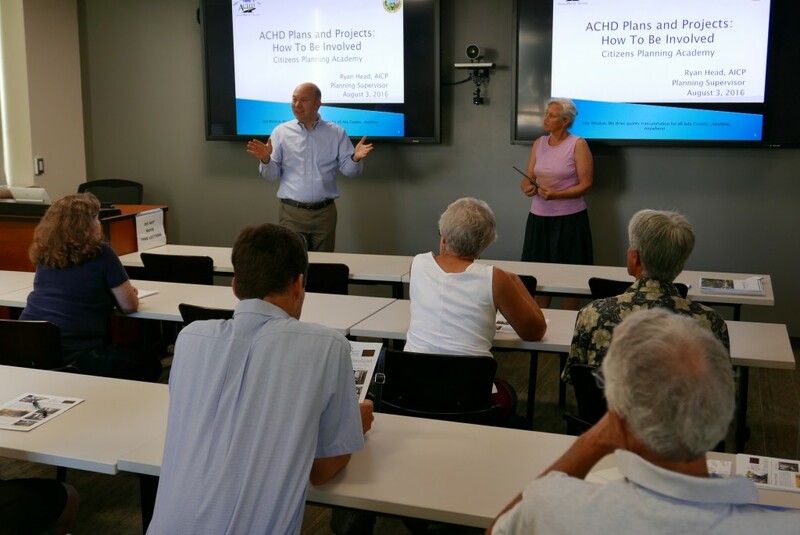 This monthly series is designed to help citizens become effective advocates on a wide range of planning topics. Programs are free and open to all. U of I Legacy Pointe Conference Room, Idaho Water Center, 322 E. Front Street, Boise. Free off-street parking is available in the Idaho Water Center and Ada County Courthouse garages. Scroll down for a map and parking information. The 2019 series begins on Wednesday, February 6th at 6:00 PM – 7:30 PM and occurs monthly (*no session in July) on the first Wednesday. Our 2019 series will cover viewpoints on growth from around the state, and we encourage people in towns and cities outside Boise to attend the series remotely. Similar to logging into a webinar, logging in remotely allows you to see and hear the presentation, and even to ask any questions! Anyone can join remotely. Take a look at this short tutorial. If you are unable to attend the live session (either in person or online), recordings of the sessions will be shared on our YouTube channel. FEB 6 – So we’re the fastest growing state, how does planning fit in? MAR 6 – Is congestion really the problem? Talking transportation. APR 3 – Is your city covered? Comprehensive planning nightmares and heroes. MAY 1 – Let’s crunch the numbers. Does smart growth make economic sense? Idaho urban renewal – stories from communities large and small. More information about the 2019 sessions coming soon! Off-street parking is available in two parking structures adjacent to the Idaho Water Center: the Idaho Water Center and Ada County Courthouse garages. The first hour is free and parking is free after 6:15 pm. More information on parking can be found here. APRIL – Comprehensive Planning: What is it? Why do it? Does it work?